quantities in the horse regular feed. Contains significant levels of Iron, B-Group Vitamins including Folic Acid, as well as the minerals Copper and Cobalt in a highly palatable energy rich base with yucca flavored. 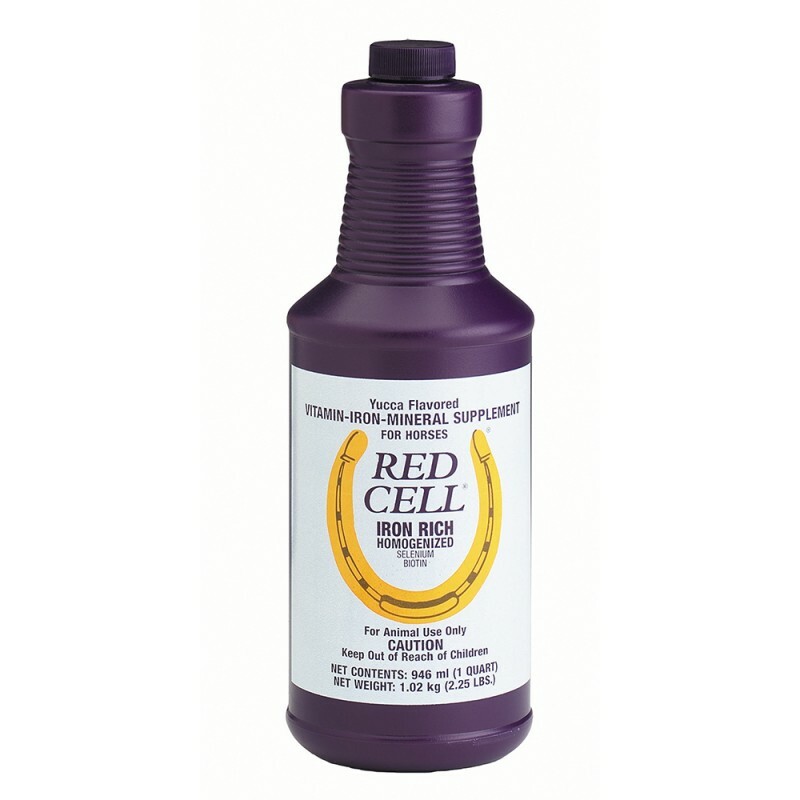 RED CELL maintains good blood production and vitality. 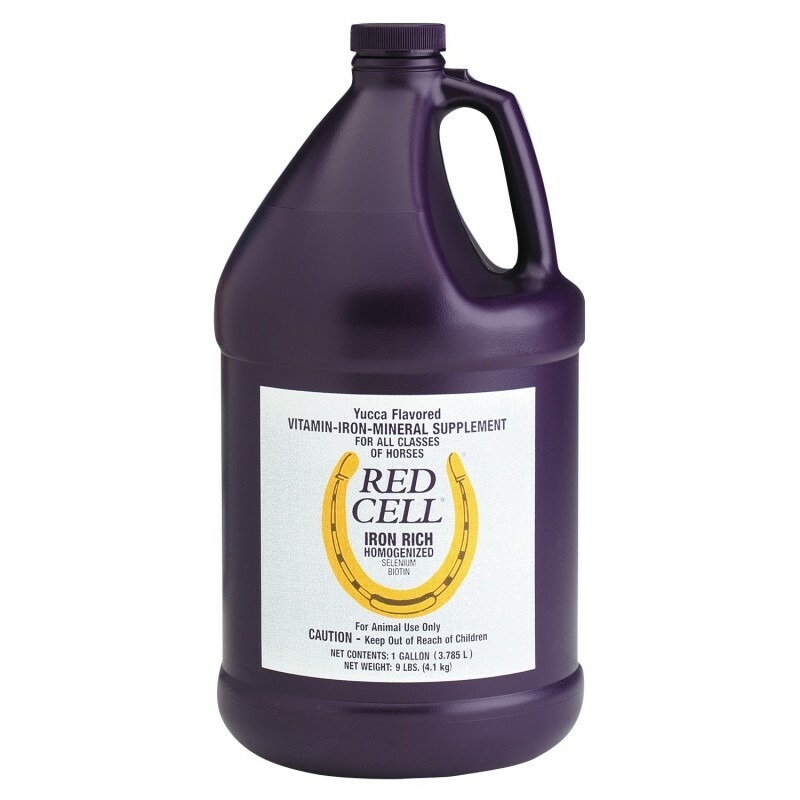 RED CELL is specially formulated to assist in the energy status of the performance horses and to provide increase of red blood cells for the convalescent horses. 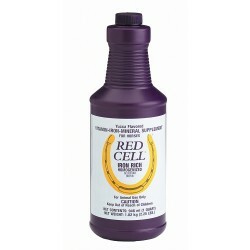 For optimal results it is advised to feed RED CELL for 20 days. Water, Ferric Sulfate, Citric Acid, Choline Chloride, Zinc Sulfate, Magnesium Sulfate, Potassium Chloride, Copper Sulfate, Vitamin E, Vitamin A, Vitamin D-3, Thiamine Hydrochloride, Calcium Pantothenate, Riboflavin, Pyridoxine Hydrochloride, Folic Acid, Menadione, biotin, sodium selenite, potassium iodure, Kelp Extract, Yucca Schidigera Extract, Xanthan Gum, Potassium Sorbate, Artificial color and Flavor.